Last September I contacted Dave Bell of Pinedale and told him I wanted to do a story on the amount of money the Museum of the Mountain Man received from the Sublette County Government and how that money was spent. That phone call set off the strangest investigation I've ever conducted as editor of the Journal. Before I begin, let me outline the different entities involved with the Museum of the Mountain Man. First is the Sublette County Historical Society, a private, non-profit, 501(c)(3) organization. The Sublette County Historical Society operates the Museum of the Mountain Man and puts on the Rendezvous Pageant. It has its own volunteer board of directors, of which Mr. Bell is president. The director of the Museum of the Mountain Man is Laurie Latta. She works for the board of the Sublette County Historical Society. On the county government side is the Sublette County Museum Board. This is a volunteer, appointed board similar to the Sublette County Recreation Board. The Sublette County Museum Board solicits funding requests from the two museums in Sublette County, and makes a funding recommendation to the Sublette County Commissioners, who make the final funding decision. Jim Latta, Ms. Latta's husband, is the Chairman of the Sublette County Museum Board. My interest in the county money given to the museum was driven by three factors. First was the controversy surrounding the $100,000 the Sublette County Commissioners gave to the Pinedale Learning Center for construction of that private organization's new building near the Pinedale Town Park. The Commissioners did not agree with the way former Learning Center Director Martha Ptasnik was dismissed from the organization, and learned the hard way that once the money was pledged to a private organization, the County had no real say in how it would be spent. Second was the amount of money the county taxpayers are giving each year to the Museum of the Mountain Man. This year, the Sublette County Commissioners, following a recommendation from the Sublette County Museum Board, gave the Museum of the Mountain Man $91,150. The Museum of the Mountain Man was dedicated in 1990, and since that time, county taxpayers have given the Museum $641,950. Over that period, the amount of money the County has given to the Museum has increased 215%, from $25,800 in FY1991 to $91,150 this year. 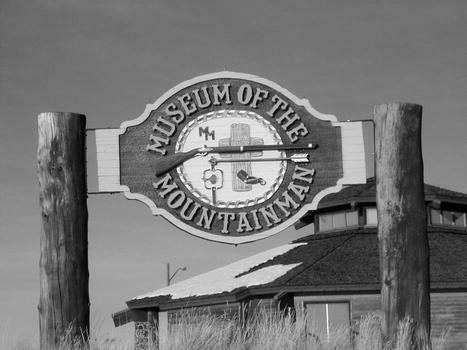 Third, the Museum of the Mountain Man is a regional institution focused on a narrow part of the history of Sublette County and the West - the mountain man era. Certainly, given the Rendezvous and other mountain man era events that occurred here, Sublette County is at the heart of mountain man history. However, there is mountain man history in every Rocky Mountain state, and there are 150 years of white-man history in Sublette County, over 10,000 years of native American history, and millions of years of natural history. Just 20-30 years of all this history comprise the mountain man era. I have several concerns with the many thousands of dollars each year Sublette County taxpayers give to the Museum of the Mountain Man. First, the $91,150 the County gave to the Museum of the Mountain Man this year is more than we gave to the Sublette County Extension Office, spent for Emergency Management and nearly as much as we funded the County Treasurer, County Health Office and Planning and Zoning Office individually. It is a lot of money to be giving to a private organization over which the County has no control. The bulk of this money is being used for basic operation of the Museum of the Mountain Man. According to the Historical Society funding request, the museum will use county funding to pay for $15,000 in utilities, $13,000 in curatorial operations, $15,000 in "maintenance and equipment," and $25,000 to hire a receptionist. We're giving the Museum taxpayers' money almost as if it were another branch of county government, but it isn't. Unlike the Planning and Zoning office, the Museum staff is not accountable to the County Commissioners for Historical Society spending decisions, the Museum is not open year round and county taxpayers have to pay to visit it. Plus, the County does not own the main Museum building, even though we're paying its utilities and maintenance. The Museum could fold up tomorrow, and the County would have nothing to show for its investment. Second, I'm not sure we're getting the biggest bang for our buck. The Museum of the Mountain Man is a regional institution focused on the mountain man era. This is fine, and I think the founders of the Museum made a brilliant decision when they decided to create a regional institution rather than a local one. Quite frankly, this increases the Museum's sources of revenue, which in turn helps assure its long-term survival. However, I think Sublette County taxpayer dollars spent on history should be spent only to preserve local history. And, I think these dollars should be spent to preserve local history from all eras, not with a focus on the mountain man era. Ms. Latta points out that the Museum of the Mountain Man often sets up local history displays from other eras. I applaud the Museum for this. But, Ms. Latta also said the Museum is currently working to build a new "Sublette County" wing to house more Sublette County displays. Again, I applaud this effort, but in a way it makes my point. In eleven years, Sublette County taxpayers have given the Museum of the Mountain Man nearly $650,000, and they're just now working toward building a Sublette County wing. Further, I think there should be a specific contract-for-services established and maintained between the Museum and County. Currently, the arrangement is way too loosey-goosey. Sublette County owns storage buildings on the Museum grounds that hold artifacts donated to the County. Because the Historical Society and Museum Board have refused to provide information, I don't know if there is an inventory of what artifacts belong to the County and which belong to the Museum. It seems the Sublette County Museum Board has given the Museum the responsibility to maintain, preserve and display county artifacts, but the legal responsibilities are not laid out. An official, updated, and legal contract-for-services would protect both entities. Certainly, the Museum of the Mountain Man is an impressive accomplishment. But let's be honest, the Museum of the Mountain Man is going after tourists. It has an aggressive marketing campaign including slick brochures, a website, and a billboard on I-80. Its focus is not on getting locals to visit. This brings up another sore point. Given the amount of money county taxpayers give to the Museum of the Mountain Man, why do Sublette County residents have to pay when they visit the Museum, especially when it is open only during the summers? Several Museum supporters I spoke with argued that the tourists the Museum brings in and the economic impact they have on Pinedale justify the amount of funding it receives from the County. Perhaps, but the Museum receives its county funding through the Sublette County Museum Board, not a county board focused on economic development. Further, both Betty Fear and Gordon Johnston are strongly against spending county taxpayer dollars on economic development. I believe the county funding should be linked solely to the job the Museum does preserving and displaying Sublette County history. Finally, I'm concerned at the potential conflict of interest between Jim Latta, as Chairman of the Sublette County Museum Board, and his wife, Laurie, who runs the Museum of the Mountain Man. A couple of weeks after I contacted Mr. Bell, I received a phone call from Museum of the Mountain Man Director Laurie Latta. Ms. Latta requested that I fax her a list of questions and she would respond in writing. In four and a half years of operating the Journal, this was a first (my questions and Ms. Latta's answers are available online at pinedaleonline.com). I faxed my initial list of questions on October 5, 2000. My questions concerned three general areas. First, I was told by one of the Sublette County Museum Board members that there was a contract between the County and the Museum of the Mountain Man concerning what services the Museum, (again, a private entity) was to provide to the County in exchange for funding.  I wanted to see that contract, and in general wanted to know what, if any, responsibility the Museum of the Mountain Man had to preserve Sublette County history and display it. Second, I wanted to know if there was a 'firewall' set up to prevent the Museum from spending Sublette County taxpayer dollars to purchase mountain man era artifacts that have no relationship to Sublette County. Third, I was interested in the overall revenue and financial position of the Museum of the Mountain Man. What are the total annual revenues and revenue sources such as ticket sales and government funding? How do the individual revenue sources contribute to the overall revenue picture? How dependent on County funding is the Museum? Ms. Latta faxed back her answers to my questions eleven days later on October 16. After reading her responses, I felt that she didn't directly answer several of my questions. Ms. Latta faxed a 1976 contract between the Sublette County Historical Society and the Museum of the Mountain Man that she claimed represented the current contractual arrangement between the two entities. I read the contract much differently than she did and feel that it does not represent an ongoing legal document outlining responsibilities. I further felt she did not directly or fully answer several of my questions. She also refused to provide Museum of the Mountain Man financial information. On October 20, I faxed back a follow-up set of questions. In her second set of answers, Ms. Latta disagreed that she hadn't answered my questions, and attacked me personally, questioning my motives. Following Ms. Latta's second set of answers, I again called Dave Bell. I told Mr. Bell that I was disturbed by the personal tone of Ms. Latta's second fax, and that I found myself also wanting to get personal. I apologized to him that this had gotten out of hand and again requested to interview him personally as the President of the Sublette County Historical Society. Initially, Mr. Bell agreed to an interview and we set up a time. However, that first week he had to go out of town so we couldn't meet. Between the time we could set up another meeting time, Mr. Bell had met with the rest of the board of the Historical Society, and when I called to reschedule, Mr. Bell said he and the rest of the board had decided not to submit to an interview. In mid-November, I called Jim Latta, the Sublette County Commissioner-appointed chairman of the Sublette County Museum Board. I asked Mr. Latta for an interview. Initially he refused, saying that I had been "badgering" his wife. After discussing it further, Mr. Latta said he would sit for an interview, but wanted County Attorney Dale Aronson present (another first). He requested I call him back later that week to set up a time. I called Mr. Latta to set up interview times on two or three occasions during the remainder of November and early December. In early December I left a message for him and on December 8, 2000, Mr. Latta called the office and left a message with one of my staff saying he would talk to me "when he's ready" and that he'd be in touch. On Wednesday morning of the next week, Mr. Latta called me and asked if we could meet later that day. Wednesday is production day at the Journal, and there was no way I could meet. I have not heard back from Mr. Latta since. In his position as Chairman of the Sublette County Museum Board, I wanted to ask Mr. Latta several questions. First, I wanted him to clear up the issue of a contract for services agreement between the County and the Museum of the Mountain Man. I wanted to ask him if he thought there was a firewall set up to prevent the Museum of the Mountain Man from spending county funding on mountain man era artifacts from other areas or if he thought this was appropriate. I wanted to know if there was any kind of accountability by which the Museum Board verified that county funding was actually spent according to the Museum's original funding request. Finally, I wanted him to address the conflict of interest issue. I want to state again that I feel the Museum of the Mountain Man is an incredible accomplishment for Sublette County and all the volunteers and donors who have made it what it is. 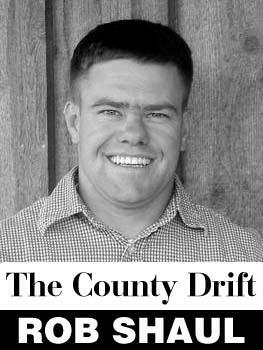 Further, I agree with the Sublette County Historical Society's shrewd decision long ago to create an institution that would generate regional and even national interest. I think the Museum of the Mountain Man should continue to get county funding. However, I'm not sure it should get $90,000 a year, and I'm positive there should be a legal contract for services established which will outline the responsibilities of the Museum and the County. Further, county funding should be used to preserve and display local artifacts from all eras. I may be alone in my feelings concerning the Museum of the Mountain Man. Several members of both my editorial board and the Journal staff disagree with me vigorously. I've searched my conscience and am satisfied my feelings aren't personal. I'm not out to destroy the Museum of the Mountain Man, or as Ms. Latta writes, "discredit our organization." I am out to ensure Sublette County taxpayers are getting the biggest bang for their buck and to ensure Sublette County taxpayer dollars are being spent wisely and are properly accounted for. I understand that the Sublette County Historical Society is a private organization, but quite frankly, if it doesn't want the scrutiny, it shouldn't accept county funding. I am disappointed by the Historical Society Board's decision not to sit for an interview or to release its financial information. I think that each year, the Sublette County Museum Board should publicly advertise for historical preservation funding requests, much like the Sublette County Recreation Board does. There are many worthy historical projects out there, apart from the two museums in the County, that could benefit from county funding. These include projects such as the Artists' Guild's volumes, the Daniel Centennial book, and Clint Gilchrist's and others' efforts to scan historical photos and post them online. Finally, the Museum of the Mountain Man and the Sublette County Historical Society are venerable organizations in this community. Many of the people I have spoken with concerning the Museum have used its reputation, the donated money, and volunteer hours as a shield by telling me, "How dare you ask that question!" It has been suggested that if I pursue my line of questioning concerning the Museum that powerful and "big money" people in the community would come down on me and the paper. I believe the best thing I can do for this community is run a newspaper that is skeptical of sacred cows. One of our jobs is to question established practices, institutions, and officials in this community.